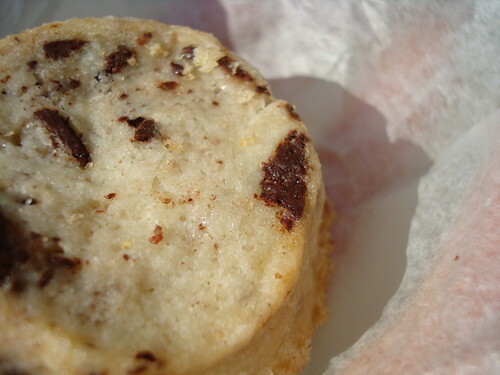 Berger Cookies: Baltimore's pride, these little cookies are shortbready, chocolatey, and we suspect, filled with crack: they're that addictive. We are forever in debt to Mitch for having opened our eyes to their glory. 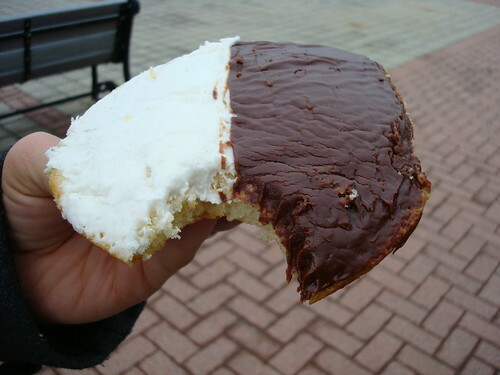 Black and white cookies from Freedman's Bakery, Belmar, NJ: We grew up on Freedman's cookies, but rediscovered them during a visit east in early 2008. 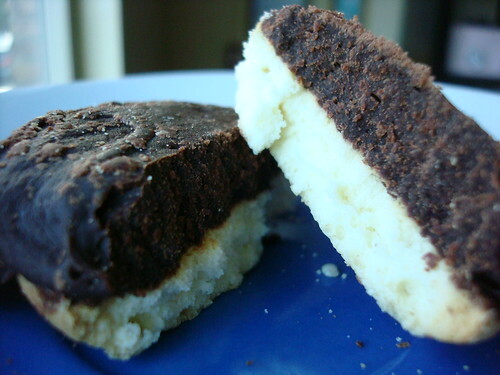 These are what a black and white cookie ought to be: a soft, cakey base the size of a saucer, with soft frosting, and just the slightest bit of overlap between chocolate and vanilla. 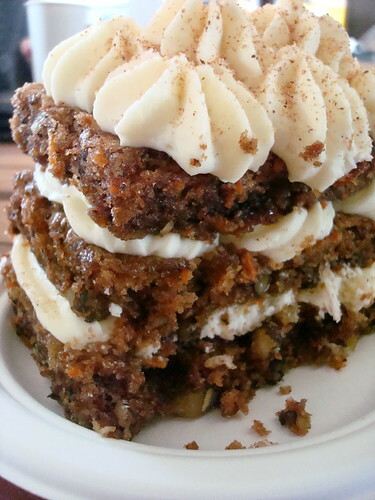 Carrot cake from Baker Boys, Asbury Park, NJ: Some may say that dressing up carrot cake with golden raisins and mascarpone frosting is a bit too pinkies out for a classic, but we couldn't keep our forks off of it. 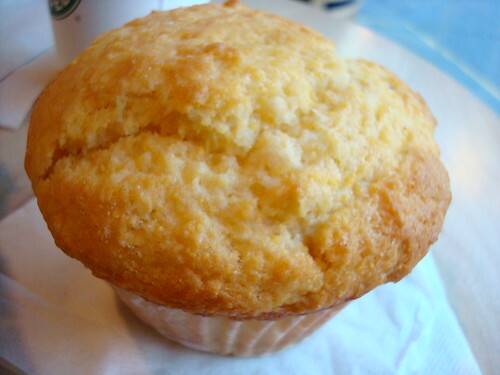 Corn Muffin from Muffins Cafe, NYC: There is nothing more elusive than the perfect corn muffin. 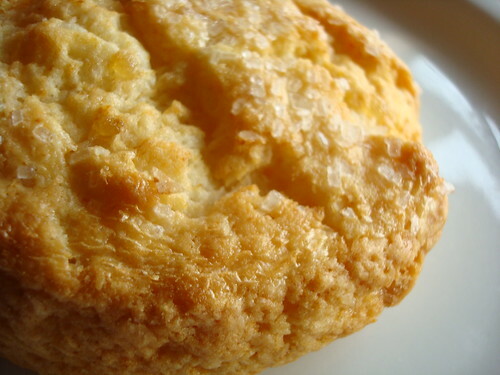 They're either too bread-y, too cakey, or crumble apart too easily. 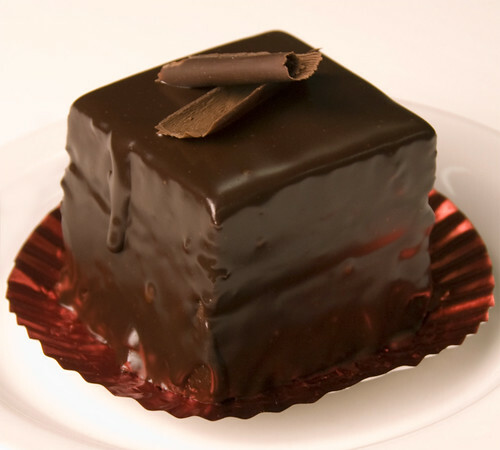 But we feel completely confident when we say that these ones are perfect: sweet but not too much so, while still maintaining a slight crunch on the top but remaining solid when torn or cut in half. 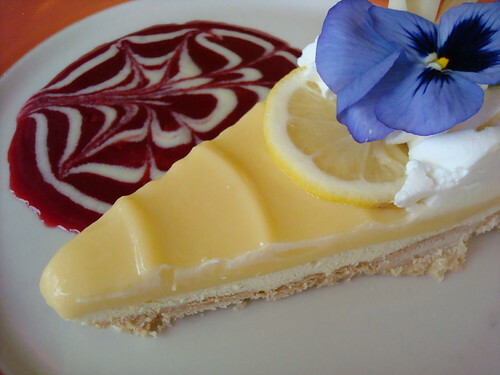 Lemon curd Tart from Papa Haydn, Portland, OR: We tried this tart last Valentine's Day weekend, and it was surely love: tart yet creamy, with a layer of buttercream between the lemon and crust, topped with a tart raspberry coulis. Oh baby. Ginger biscuit, Cafe Besalu, Seattle: Cake Gumshoe Chris swears by the ginger biscuit at Besalu, and upon tasting it, we all agreed: these sweet biscuits, made with cream, are a treasure. The Potato, Nielsen's Bakery, Seattle, WA: Like, oh. my. god. 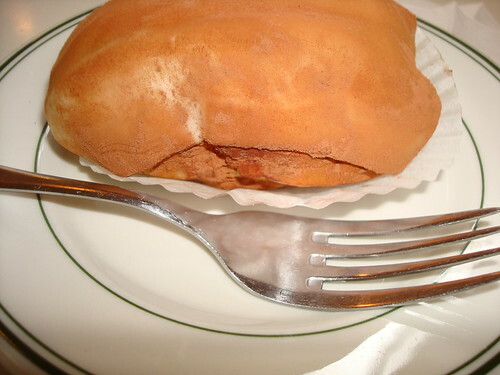 The potato is something like an eclair, only richer and more delicious, with a topping of marzipan and dusting of cocoa; we don't care for fries, but we like these potatoes very much. Pumpkin cupcakes from hello, cupcake in Tacoma: A dense, moist pumpkin cake (unsullied by raisins, which we can't stand in pumpkin cakes!) 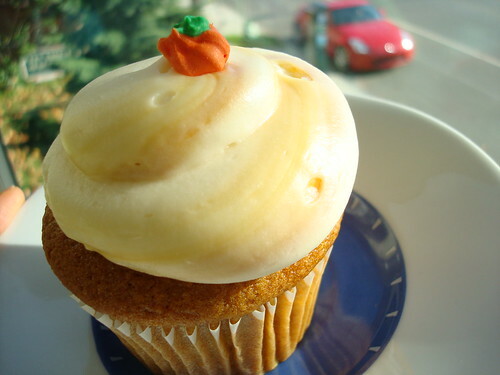 topped with cream cheese frosting and adorned with an adorable pumpkin topper--what's not to love? 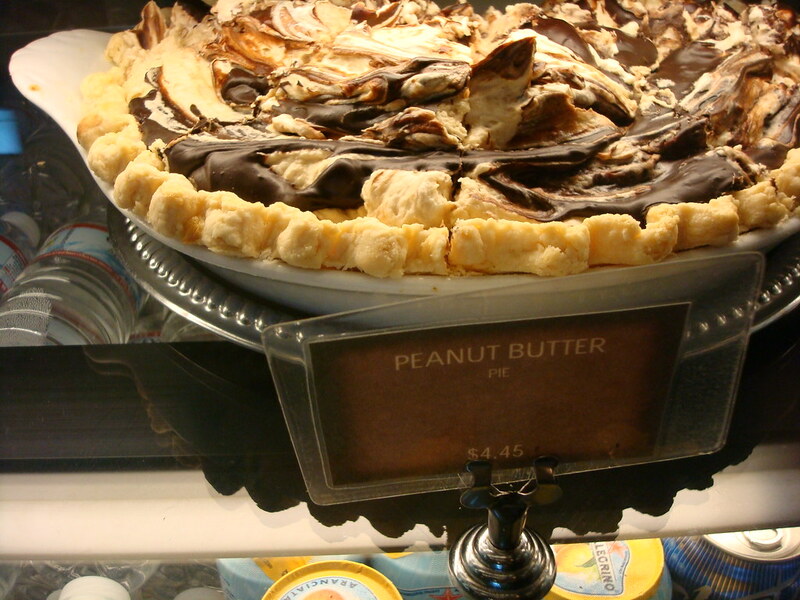 Peanut Butter Pie at Zoka: This pie is off the hook indulgent, about 6 inches high, with a buttery crust, a dense, peanut butter-chocolate filling, and swirls of chocolate on top. 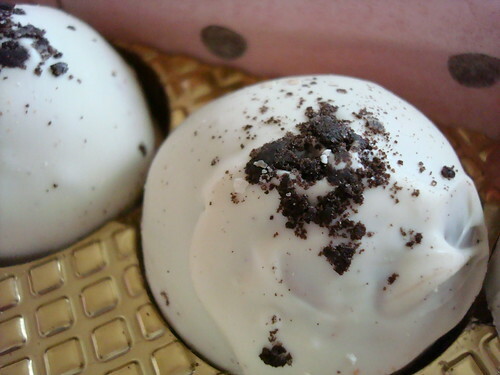 So rich, so decadent...so delicious. Whoopie Pies from Baked, Brooklyn NY: We had a lot of fun interviewing Matt and Renato of Baked earlier this year, but what made the experience even sweeter was tasting their amazingly delicious Pumpkin whoopie pies, which are dense, cakey, and utterly indulgent. 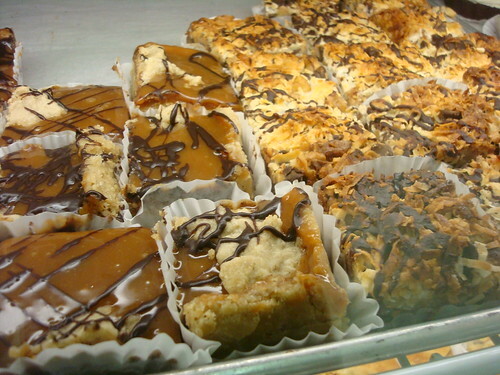 Caramel-Oatmeal Bars from Simma's Bakery, Milwaukee, WI: My, oh my. These rich, buttery, oaty-crusted bars had a generous midsection of caramel-chocolate filling, topped with additional bits of oat crumbs on top, and they were so delectable they made our heads spin. 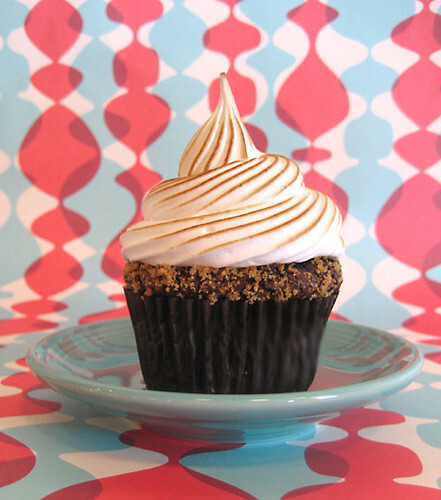 Thank you to the MKE Cupcake Queen for taking us over to Simma's! Cake bites from Sweet Tooth Fairy: When we got down to just one left, there was an actual fight about who deserved it most. Tears may or may not have been shed. 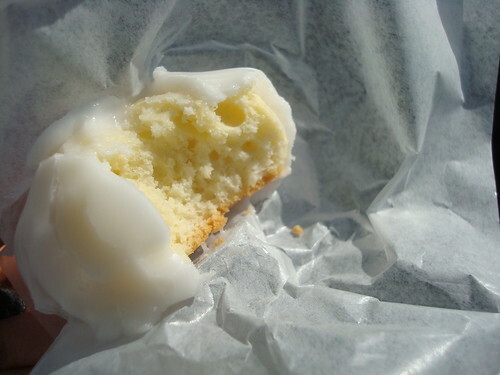 Anginetti Cookies from Morris Park Bakery, Bronx: When we tried the Anginetti cookies at Morris Park Bakery, they had just been glazed, and were still slightly warm--the slightly tart citrus taste combined with fresh sugar glaze made for a memorable experience. 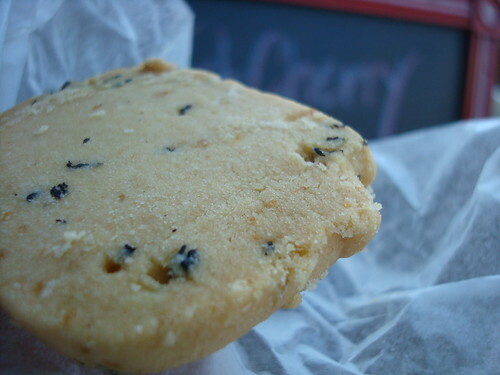 Vegan earl grey shortbread cookie, Bleeding Heart Bakery, Chicago, IL: Undoubtedly Bleeding Heart is one delicious spot, but the baked good that stood out in our memories was the Vegan Earl Grey shortbread cookie. Utterly devoid of the most important ingredient in classic shortbread--butter--these nonetheless had a gorgeous, melt-in-your-mouth richness and a perfect sandy texture. 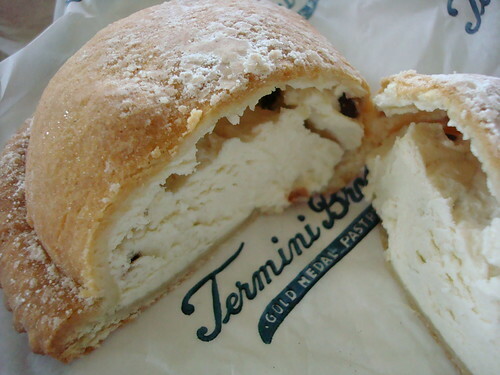 The "Ravioli", Termini Bros. Bakery, Philadelphia: Like a cannoli and a calzone had a sweet, sugary baby. Need we say more? 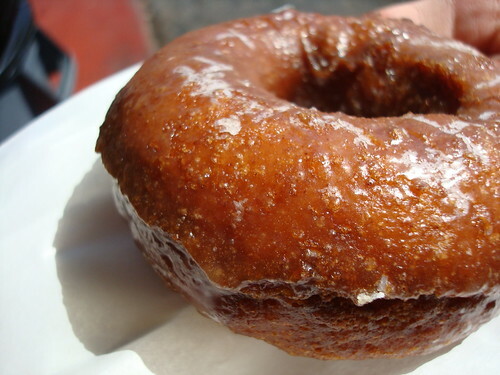 Whole Wheat-Honey Donut, Randy's Donuts, Los Angeles: The honey glazed whole wheat flavor combo was unexpected, but surprisingly addictive: we've dreamed of it ever since our visit to Los Angeles earlier this year. 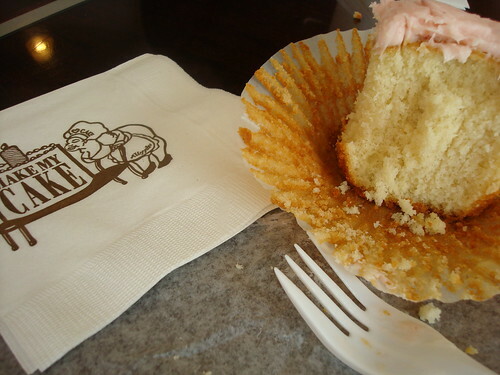 The Deathcake Royale, Cupcake Royale, Seattle: This was probably the richest and most indulgent dessert the Cakespy crew tried in 2008. It was hard to finish, but Head Spy Jessie did it--after which she was told it was intended to be shared. Oops. 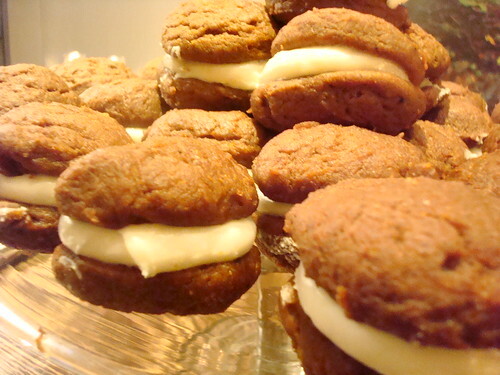 Sables from Bittersweet, Chicago: Who doesn't love a good butter cookie? These ones were phenomenal, with a perfect tooth-feel and with little flecks of bittersweet chocolate which contrasted nicely with the buttery sweetness. Thanks again to Natalie of Bake + Destroy for having suggested Bittersweet! Strawberry cupcakes from Make My Cake: These cupcakes, with real bits of strawberry studded in the frosting, were simply delightful. Chocolate Graham Cupcakes from Trophy Cupcakes: Don't just take our word for it--they were good enough to be featured on Martha Stewart! 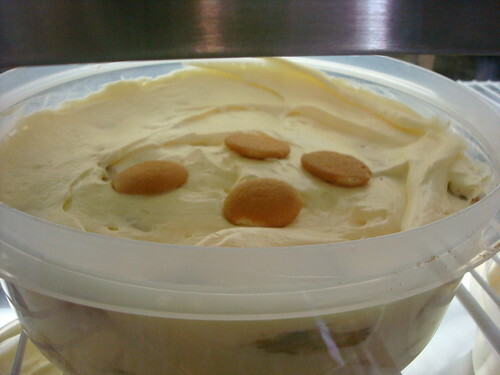 Banana pudding from Magnolia Bakery, NYC: It may be #2 at Magnolia, but we think the pudding trumps their famous cupcakes any day. 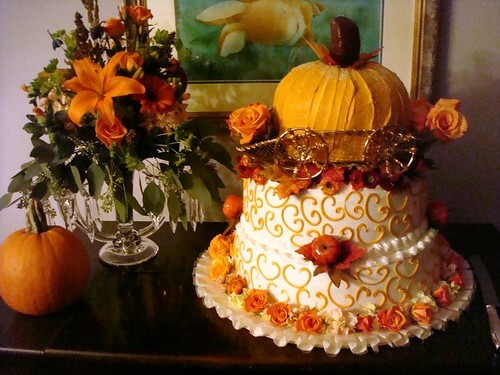 Wedding cake from Cameo Cakes, Brielle, NJ: At Cake Gumshoe Kelly's wedding, we tasted what might have been the most delicious wedding cake we've ever had--a buttercream-topped confection which looked fanciful and tasted wonderful. 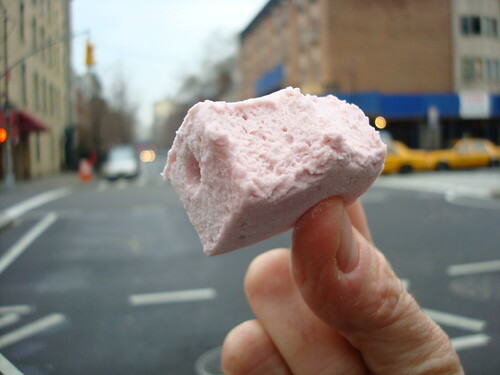 Marshmallows from Three Tarts: Had we ever really tasted marshmallows before we came across this little shop in Chelsea? We can't say for sure, but now we're hooked on these treats, which are light as air and delicately sweet. 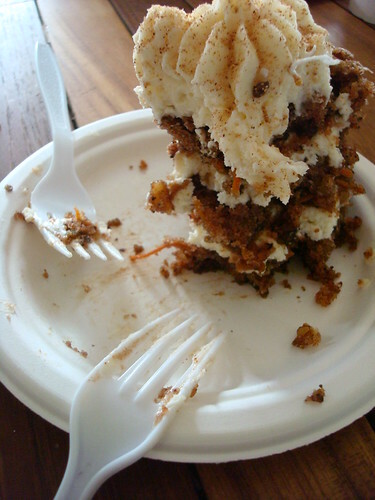 Six Layer Bars, PCC, Seattle: So rich, so dense, so decadent. 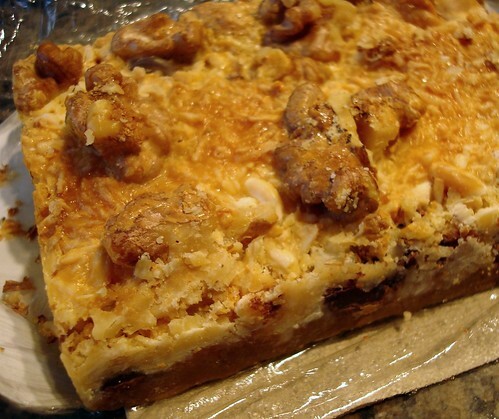 Six layers of heaven--also known as coconut, chocolate chips, graham cracker, walnut, white chocolate chips, and evaporated milk. These ones are excellent. 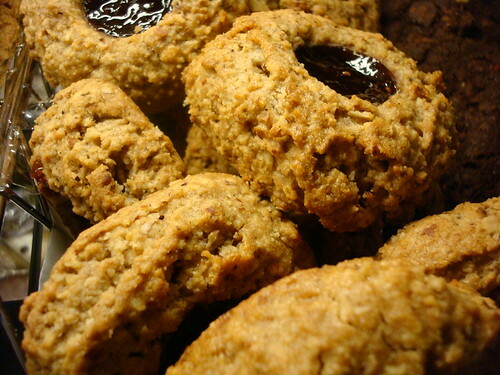 Vegan Thumbprint Cookies, Whole Foods, Seattle: These cookies are delicious, perfectly spiced and with a healthy dollop of jam in the center--the perfect breakfast cookie. Here's to an even sweeter 2009! Happy New Year!